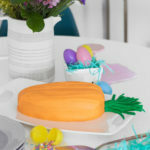 What’s better than carrot cake for Easter? 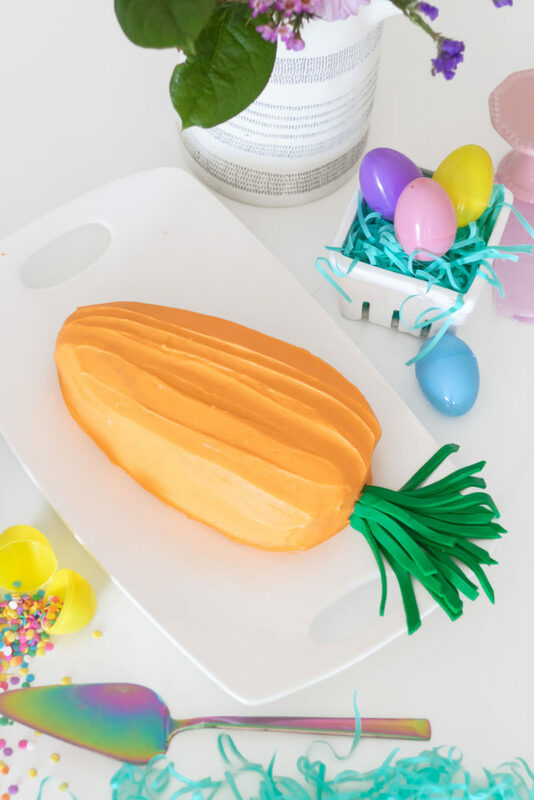 Well, LITERAL carrot cake 😜 Normally, I love to make cakes that look like other things…well, this time I made a cake that looks like exactly what is. Thus, we have a homemade carrot cake that actually LOOKS like a carrot! 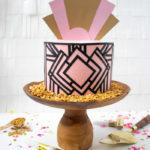 No cake layers, no special tools, nada. 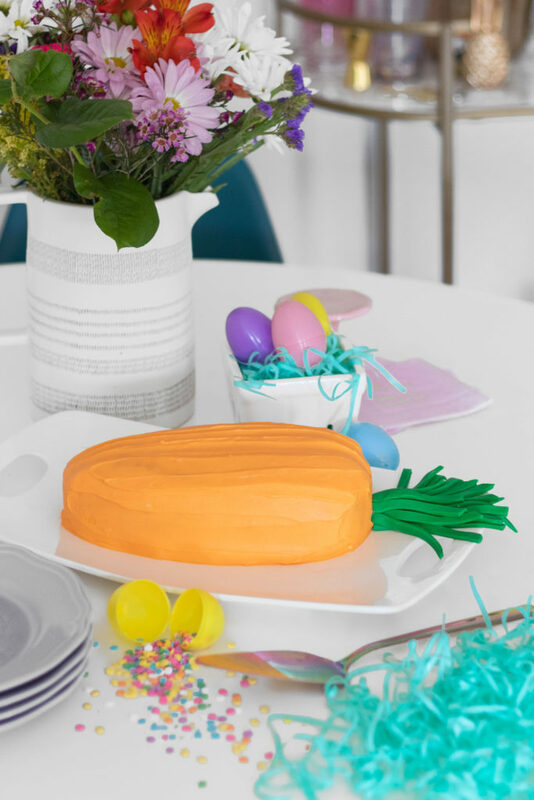 This is the perfect Easter cake for your brunch table, and all you’ll need is a loaf pan and a knife. Let’s just say this is my second favorite type of carrots. 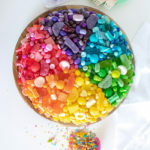 Or, should I say carats? Get it?? OK, I’m out of carrot jokes already. I make some damn good carrot cake, you guys. 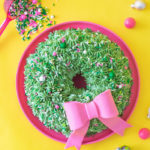 Then you pair it with a simple cream cheese frosting and it’s absolutely delightful. I’m pretty sure I ate half of the cake all by myself! 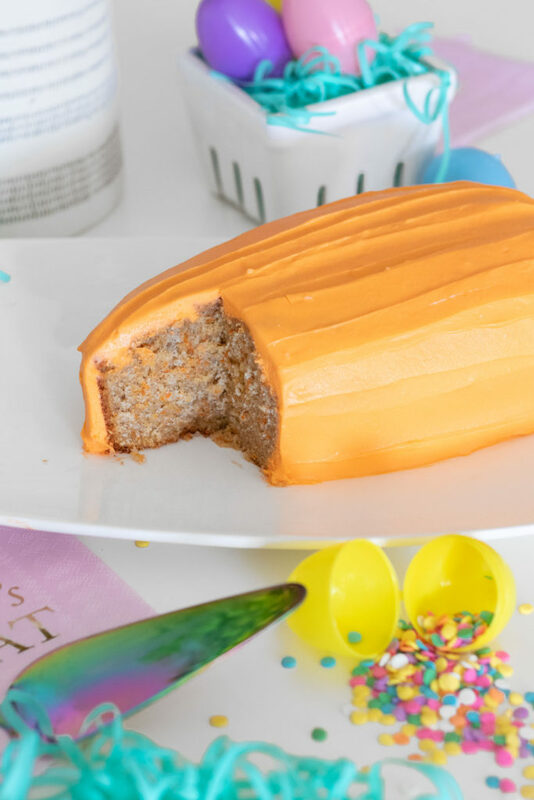 This literal carrot cake is easy to make with a loaf pan and a serrated knife. 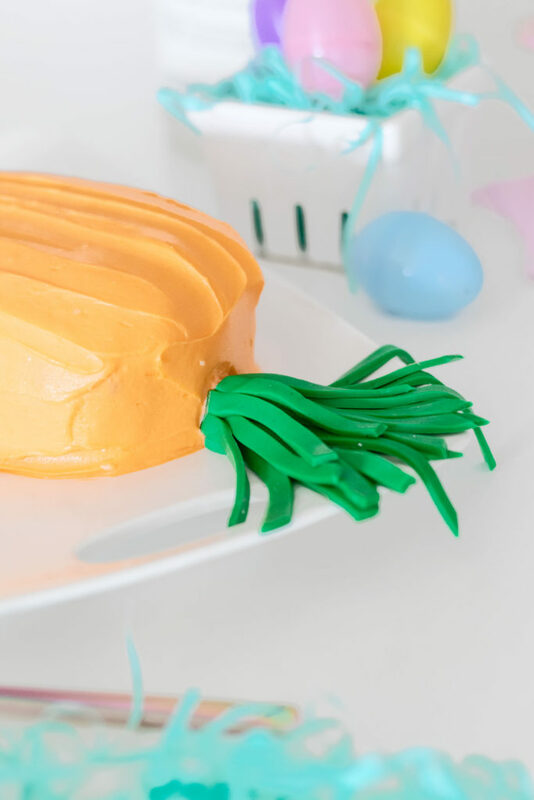 Then I used strips of green fondant (no special tools needed – just a rolling pin and a knife) to create the stem of the carrot cake. 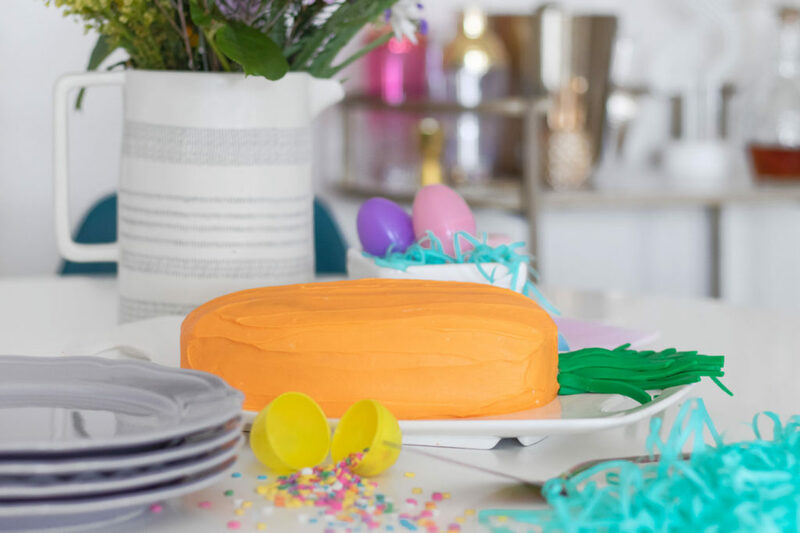 Seriously, this is the easiest Easter cake ever! 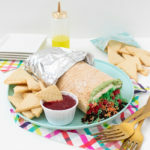 Make one for your brunch to feed a table of 8-10.